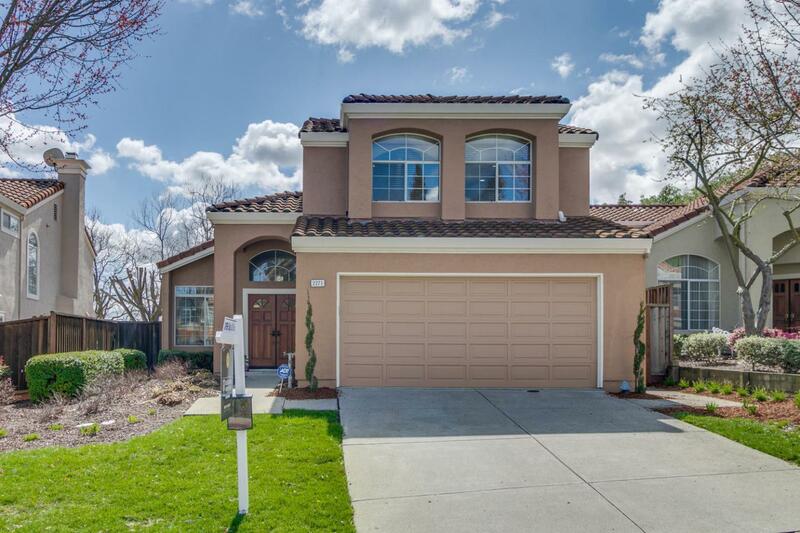 Beautiful well maintained and recently upgraded single family home in popular Portola at Gale Ranch. Built in 1991, this spacious home has 4 bedrooms and 3 baths, 2332sf, ground floor has one bedroom and one full bath, New laminated floor on first floor, new carpet on 2nd floor, new interior painting, new tile floor in kitchen and new microwave and oven. New sliding door in the dining area, new lightings, gas fireplace in family room, wet bar, vaulted ceiling in the living room, spacious master bedroom with walking closet and balcony, downstairs bedroom with full bath, central AC, EV charging, central vacuum system, fruit trees in the backyard, top rated schools: Coyote Creek Elementary, Gale Ranch Middle, Dougherty High. Too much to list here, come and take a look. Hurry!